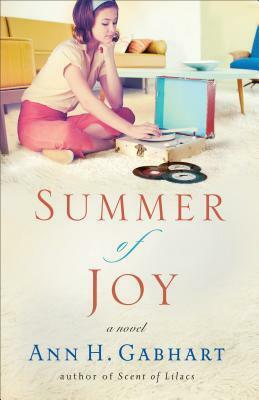 Review: Summer Of Joy by:Ann H. Gabhart | A Simple Life,really?! For Jocie Brooke, the summer of 1964 certainly was eventful, but it’s nothing compared to what’s coming to Hollyhill, Kentucky, and the Brooke family next. The past is coming to call, threatening to destroy the relationships that everyone thought were so strong. Two people–one thought to be gone for good and the other no one’s ever heard of–are making their way to the small town. And it promises trouble for everyone. This complex and beautifully written story is the perfect conclusion to The Heart of Hollyhill series. With true-to-life family drama, refreshing humor, and characters readers have come to love like dear friends, “Summer of Joy” will delight Gabhart’s fans. Ann H. Gabhart is the bestselling author of several Shaker novels–The Outsider, The Believer, The Seeker, The Blessed, and The Gifted–as well as several other historical novels, including Scent of Lilacs, Orchard of Hope, Angel Sister, Small Town Girl, and Words Spoken True. She lives with her husband a mile from where she was born in rural Kentucky. Find out more at http://www.annhgabhart.com. The small town of Hollyhill, Kentucky, has a very simple traditional life. Everyone knows whats going on at all times, even if it’s private business. Thoughts and Ideas for their yearly Christmas Play starts like clock work during the summer months. When it seems the winds of change start to blow, the folks of Hollyhill wont hear of it. Jocie plans to change that, by changing up the Christmas play a bit. Though it’s months away, Jocie starts telling them of her many ideas. And of course like always,they turn them down for the old traditions. Jocie along with her family and friends set out to prove them all wrong, to show what can be done if you change it up a bit. She takes everyone on an amazing summer adventure, one that will change everything. **Disclosure** This book was sent to me free of charge for my honest review from Revell.